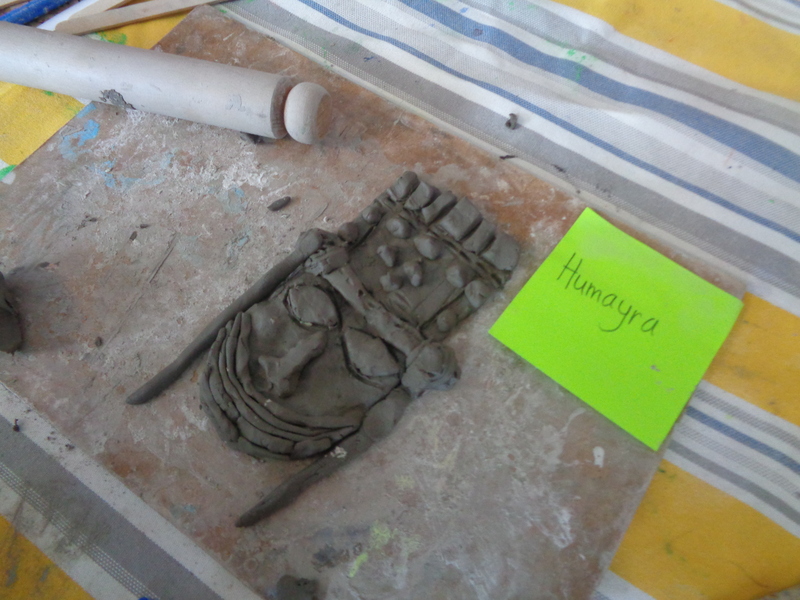 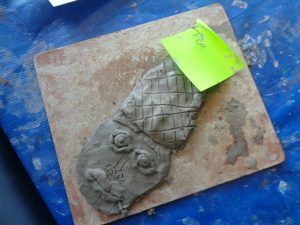 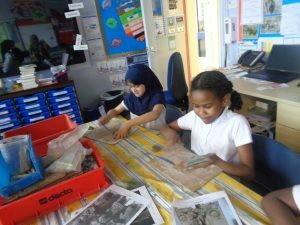 This week in Year 4 we have been created Benin sculptures out of clay. 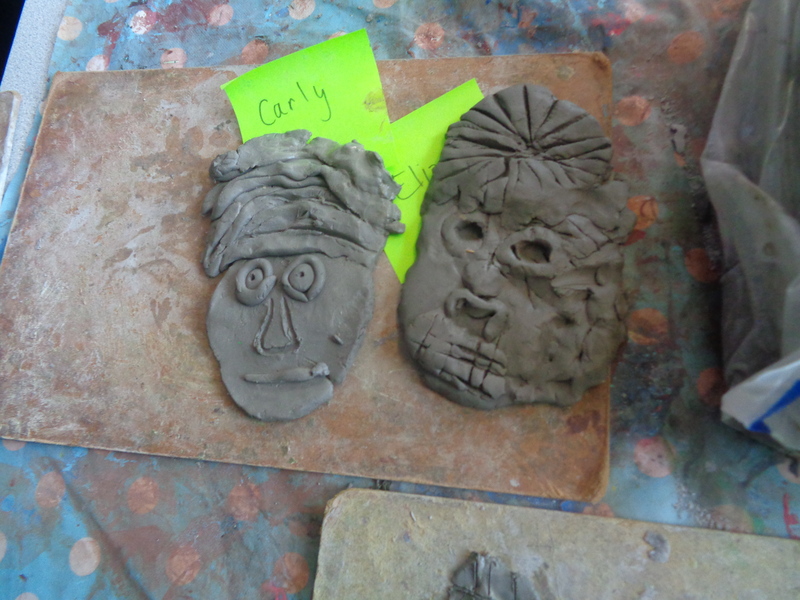 We followed our designs carefully and used different tools to create the features of a face. 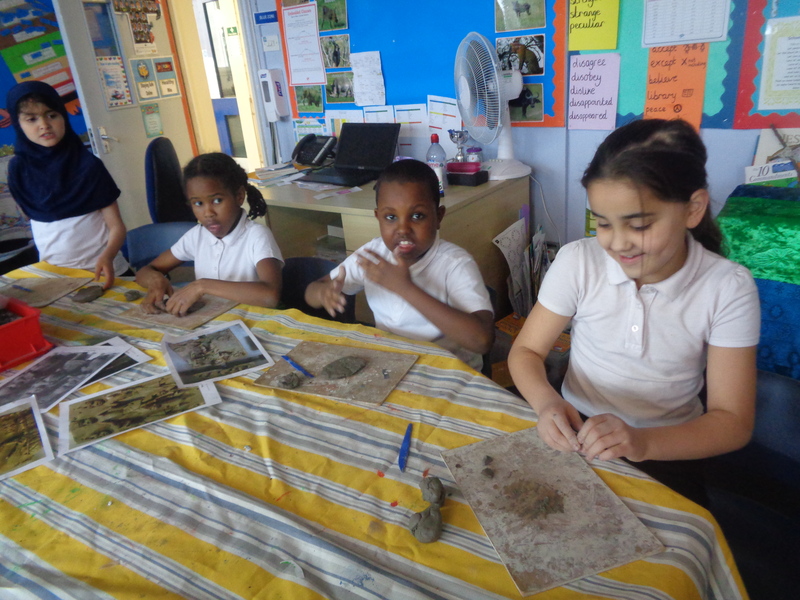 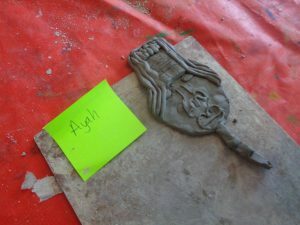 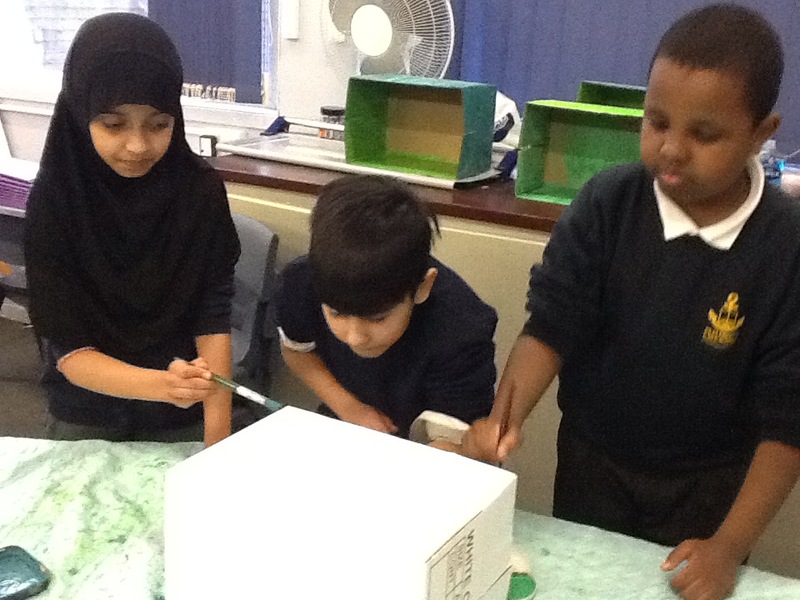 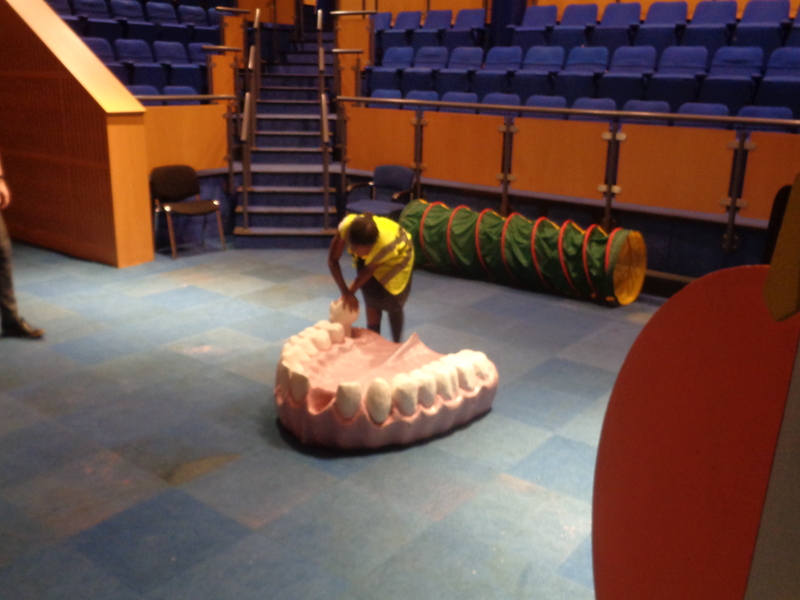 We had lots of fun modelling the clay, but some of us didn’t like to get our hands dirty. 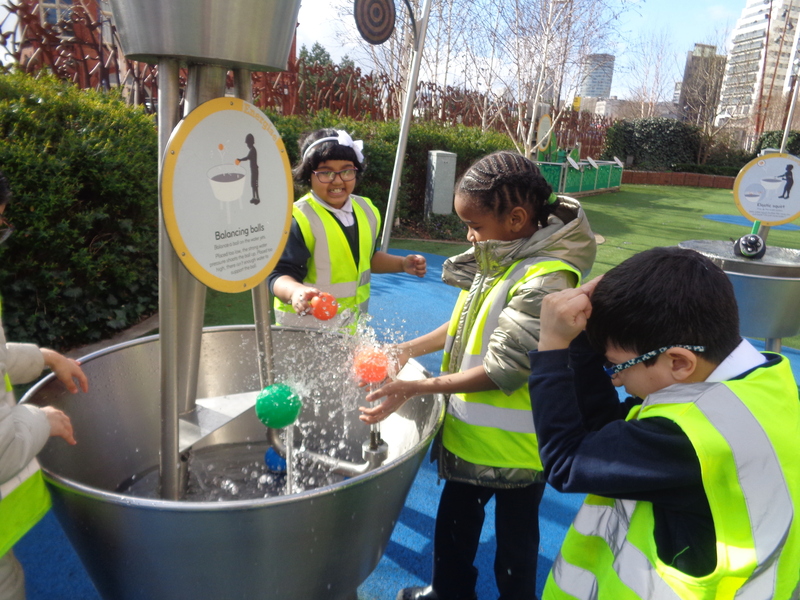 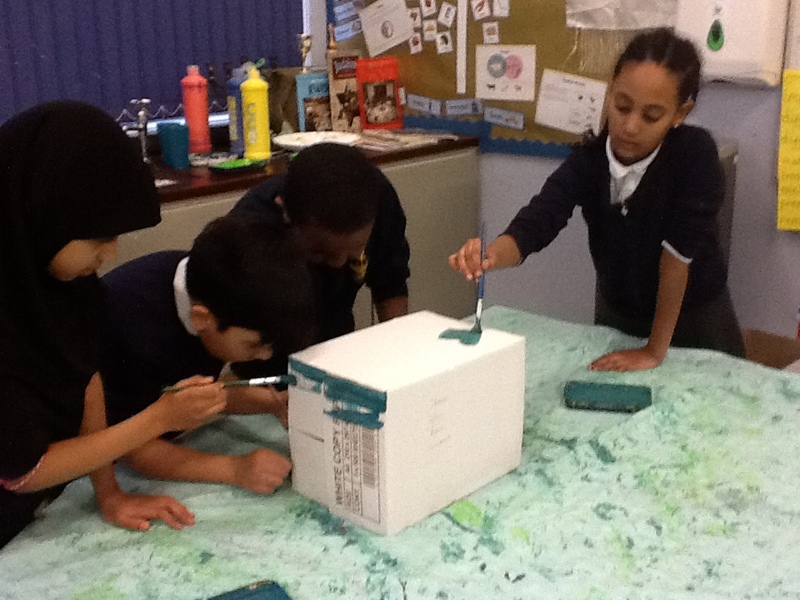 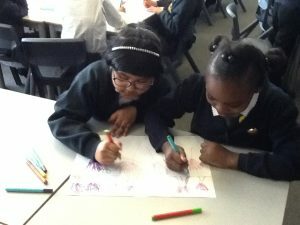 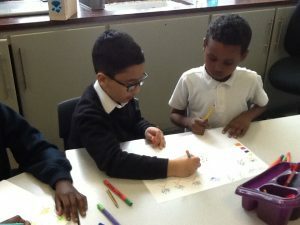 Year 4 have been getting ready for our Easter celebration. 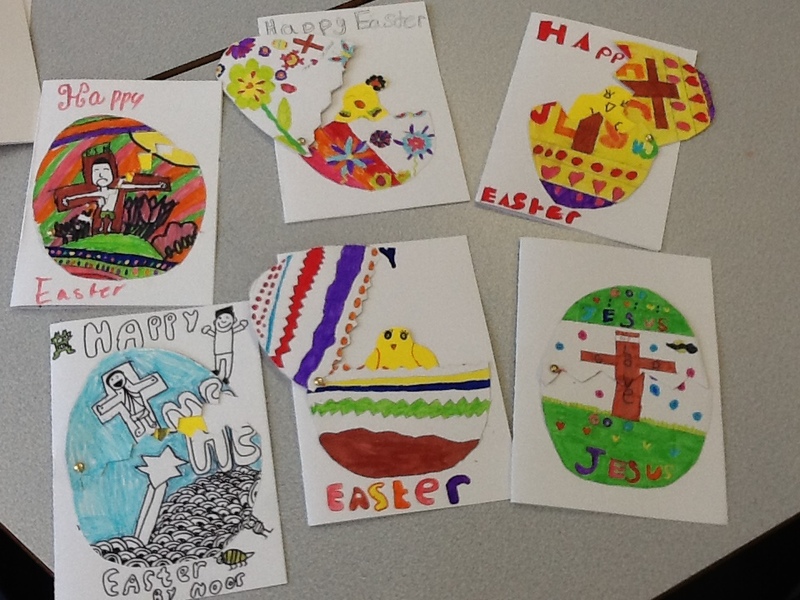 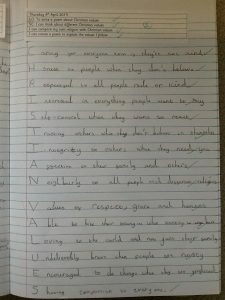 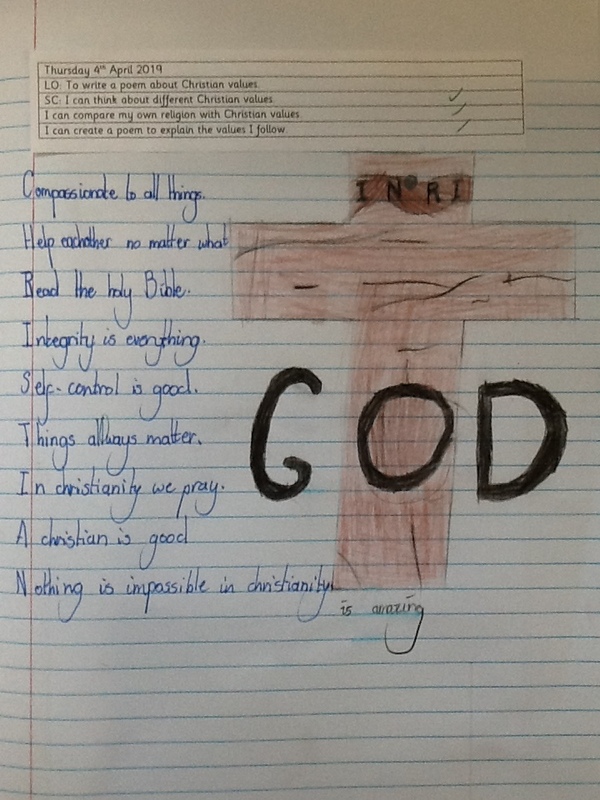 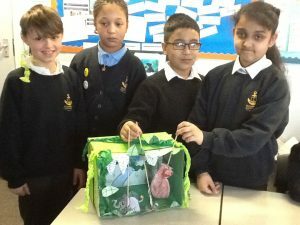 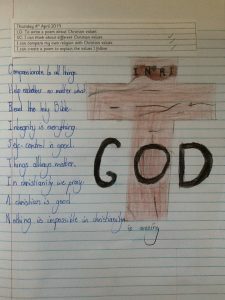 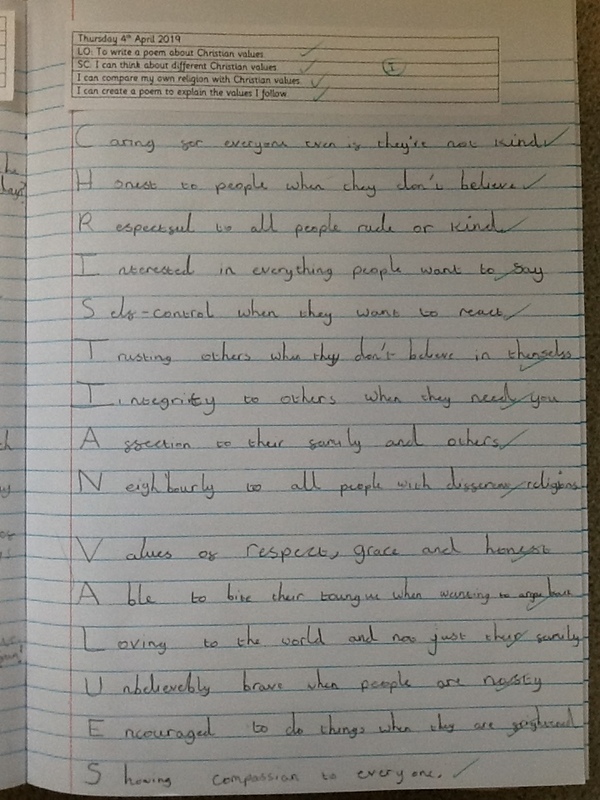 We have created 3D Easter cards and written Acrostic poems about Christian values. 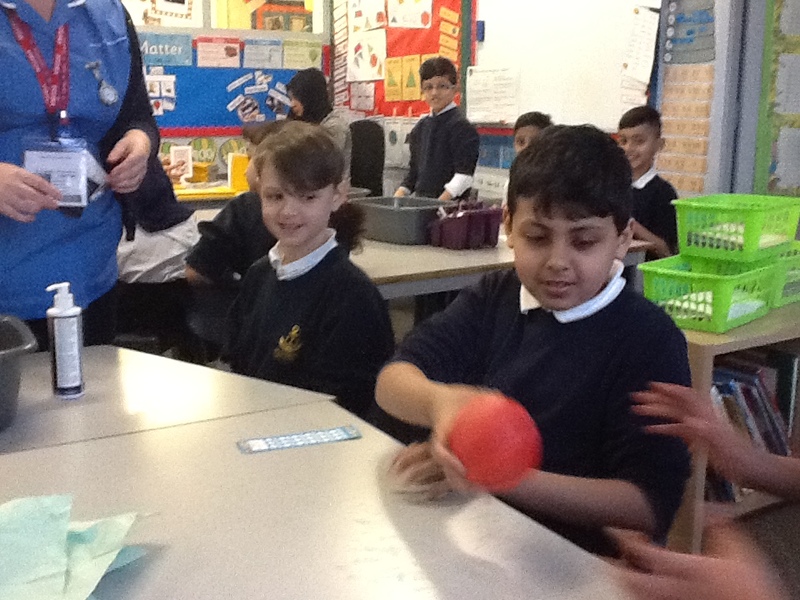 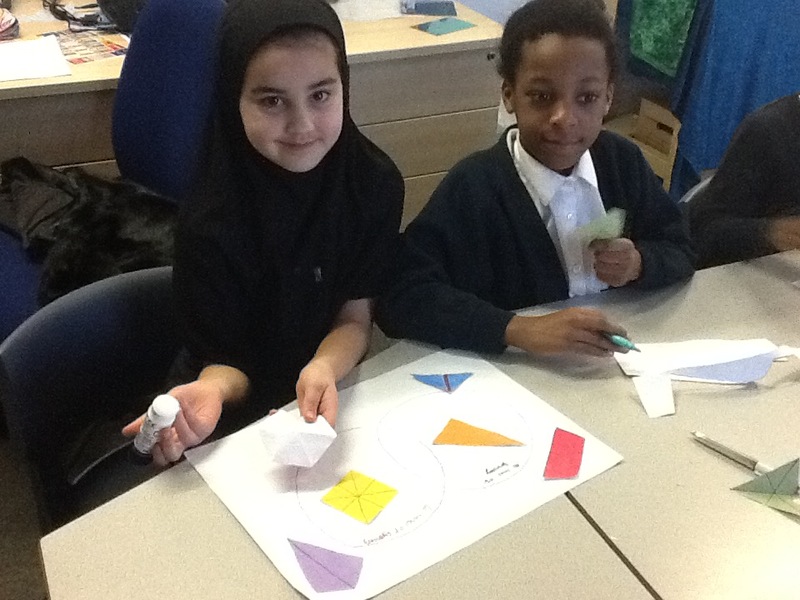 We have been working systematically to solve a maths problems using our knowledge of multiplication and division. 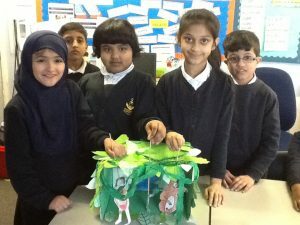 In the forest there is a Deca Tree. A Deca Tree has 10 trunks, and on each trunk there are 10 branches, and on each branch there are 10 twigs, and on each twig there are 10 leaves. One day a woodcutter came along and cut down one trunk from the tree. 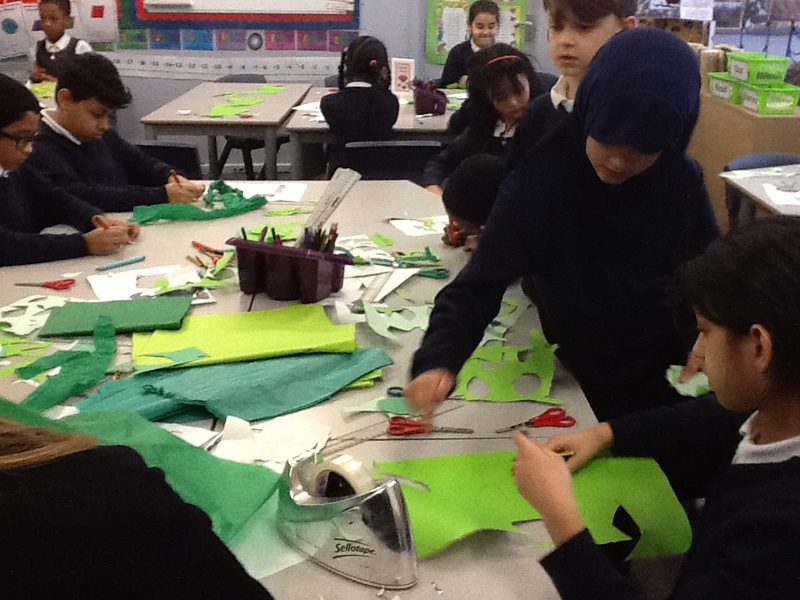 Then he cut off one branch from another trunk of the tree. 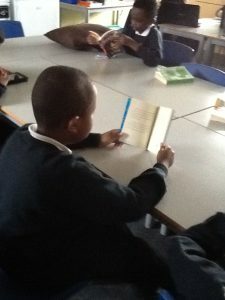 Then he cut off one twig from another branch. 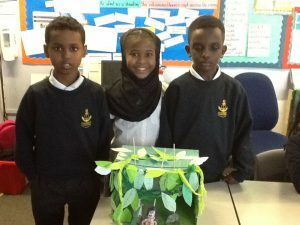 Finally he pulled one leaf from another twig. How many leaves were left on the tree then? 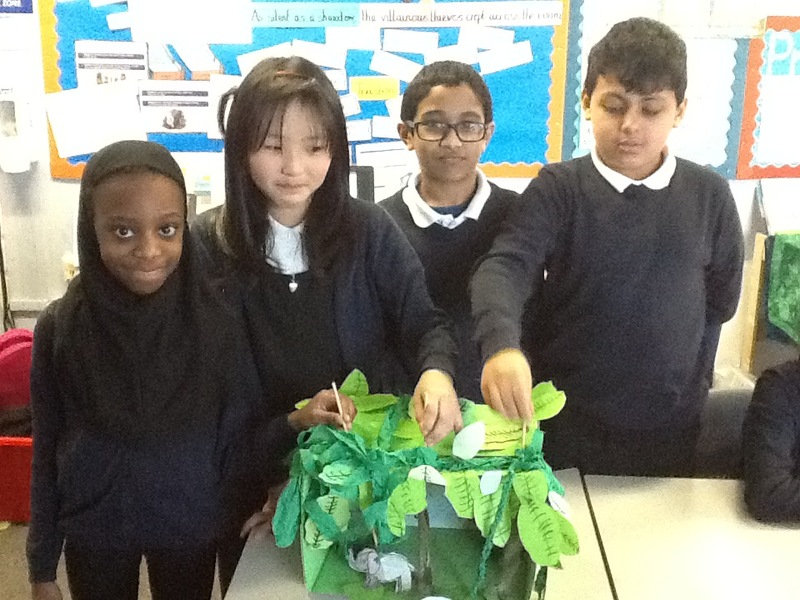 There are 8889 leaves left on the tree. 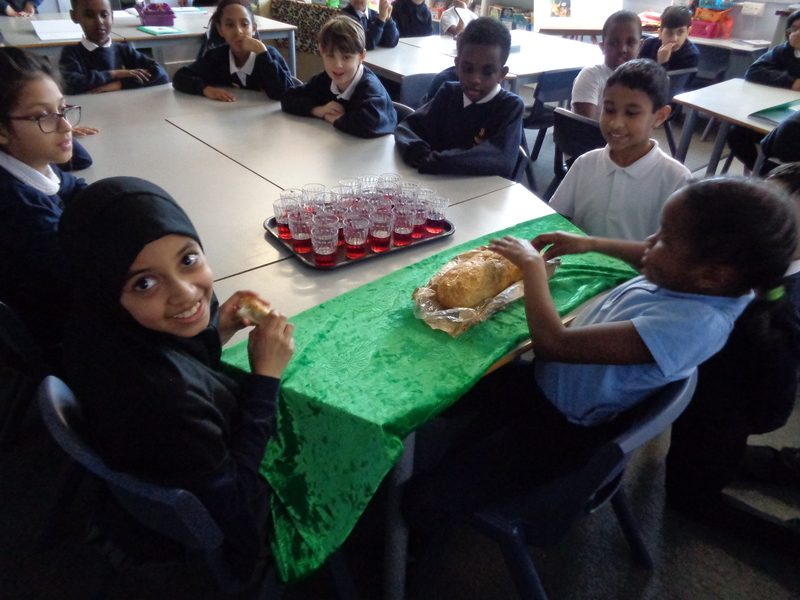 During our religious education lesson this week, we acted out the story from the Bible called The Last Supper. 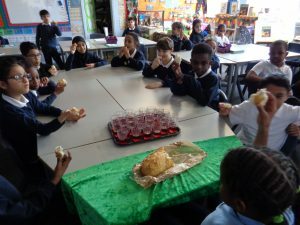 The disciples sat around the table and listened to Jesus as he told them the horrifying news that someone was going to betray him. 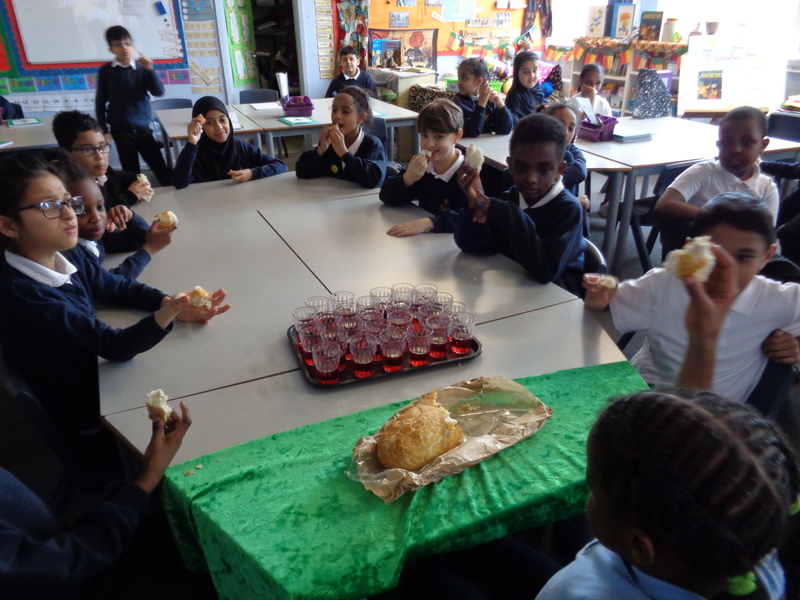 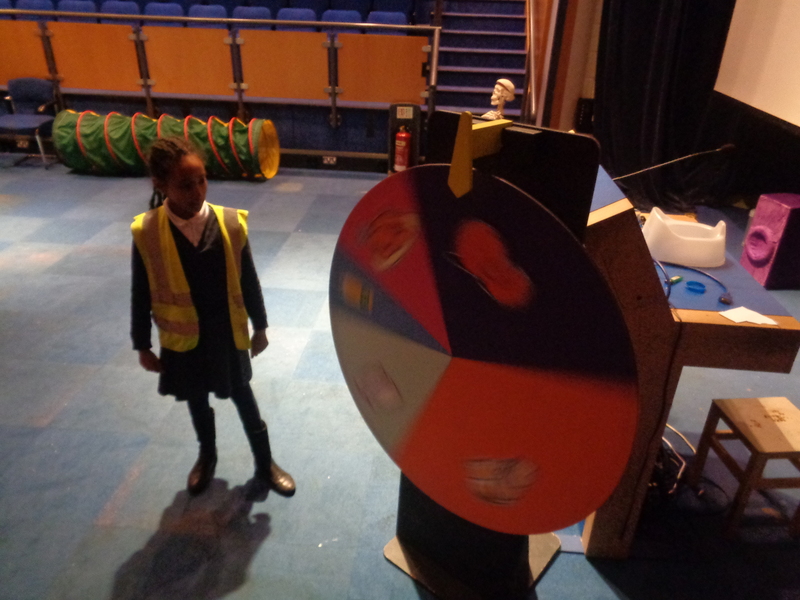 The children thought of reasons for and against Judas betraying Jesus. 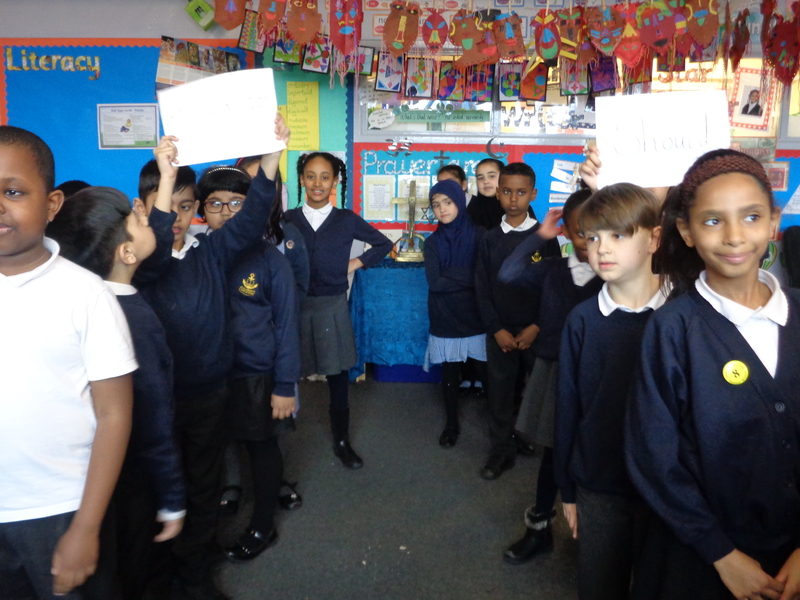 Then we split into two groups and all thought of different reasons why Judas should, or should not betray Jesus. 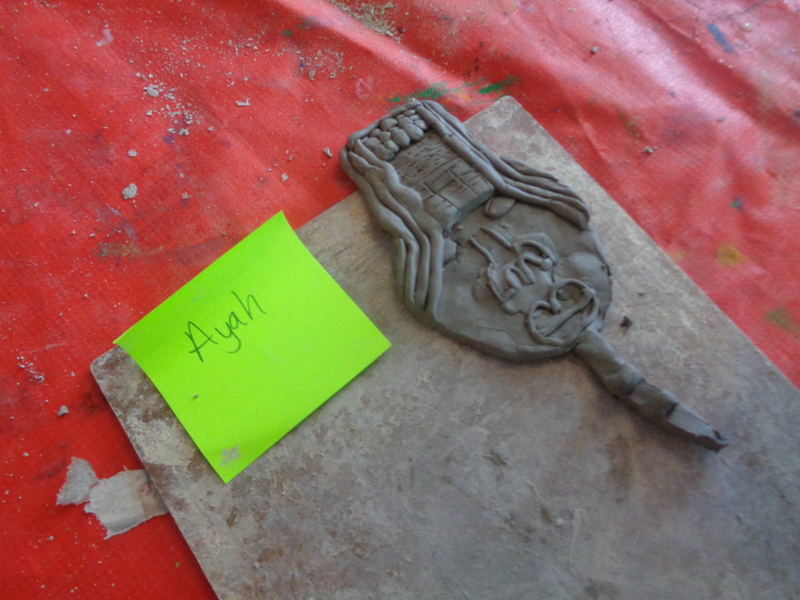 When we all had thought of a different reason we created a conscious alley. 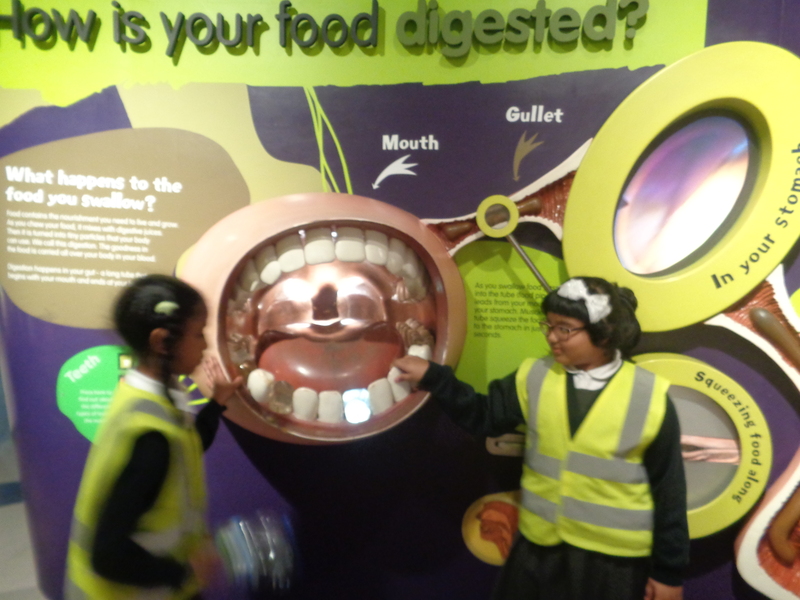 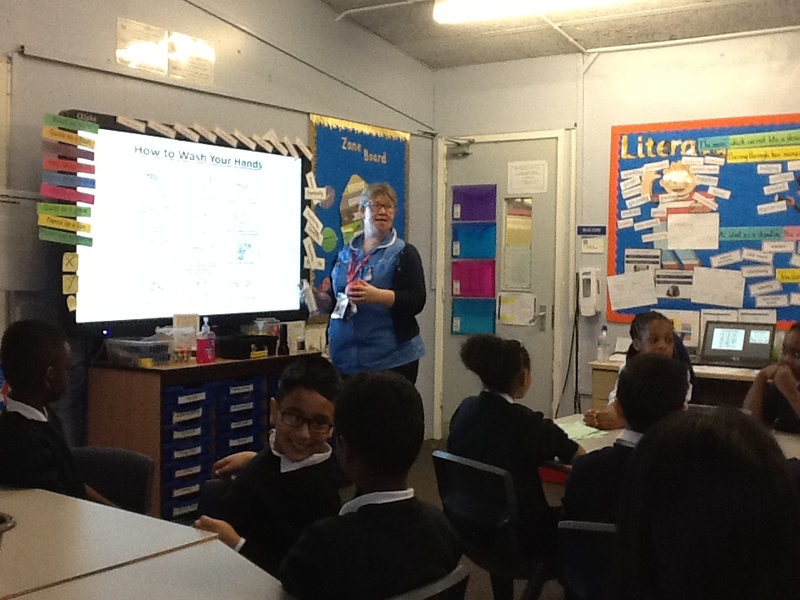 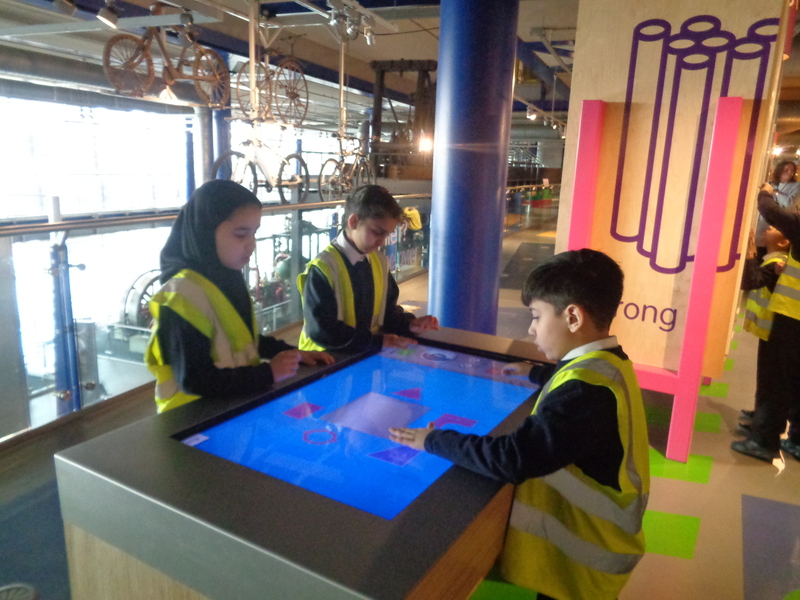 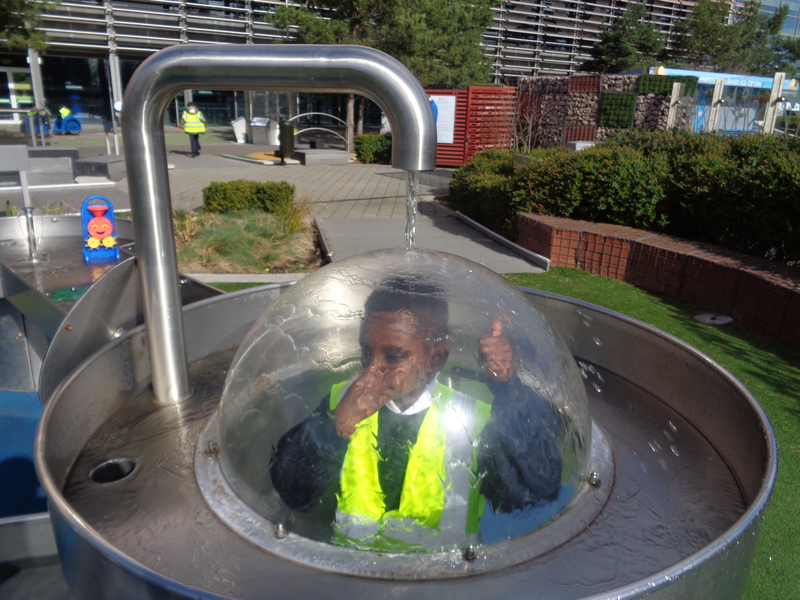 This week year 4 visited the new library and discovered all the new books Mrs Fox has order for all our school. 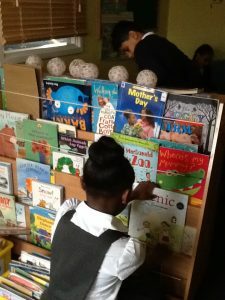 We all scanned the shelves to find a picture book, or novel that took our fancy. 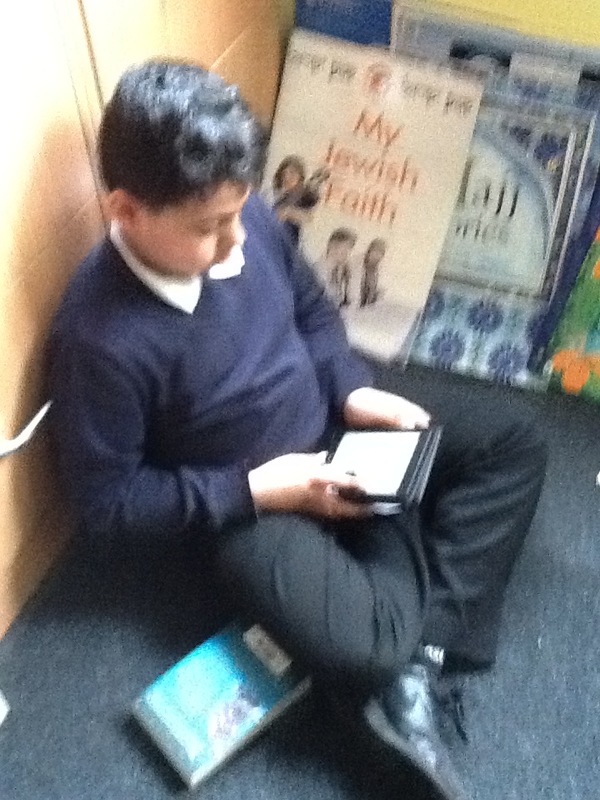 Some of us were even lucky enough to us the kindles and search through the e-books! 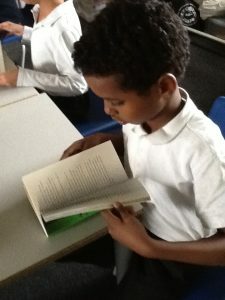 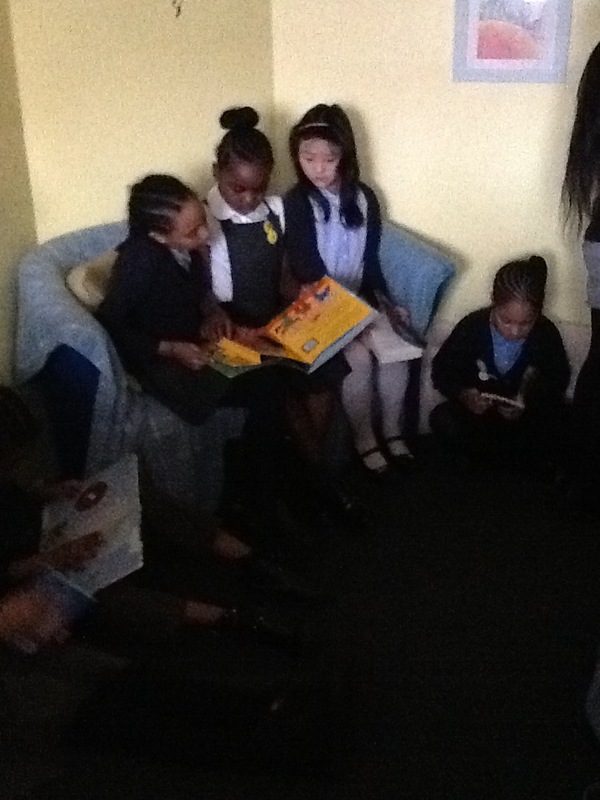 We all love our reading for pleasure time and having a new space to read our books makes it even better! On Tuesday morning, the nurse came into visit and taught us how easily germs can spread. 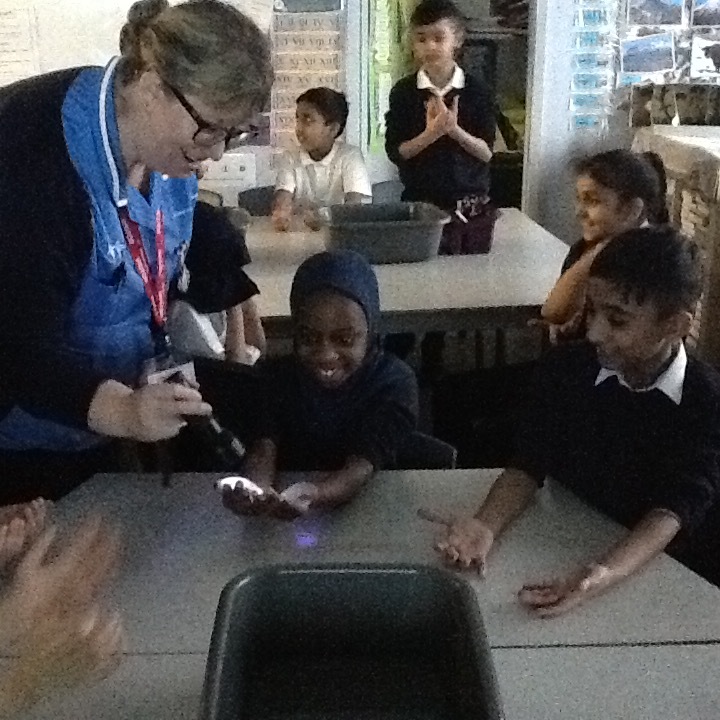 We used a special hand gel that showed all the dirty on our hands. 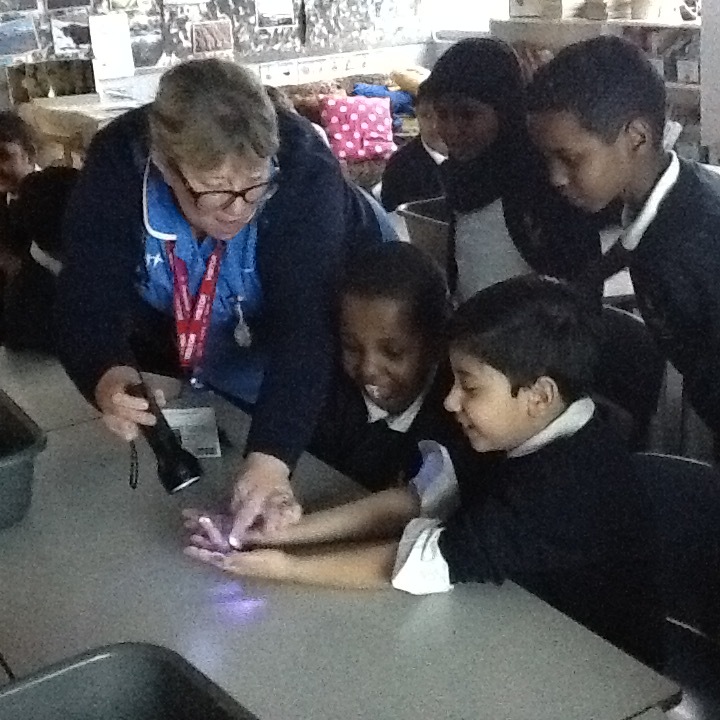 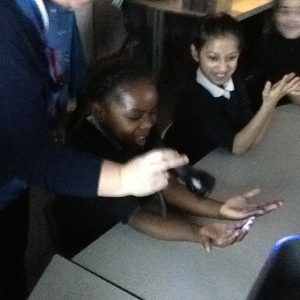 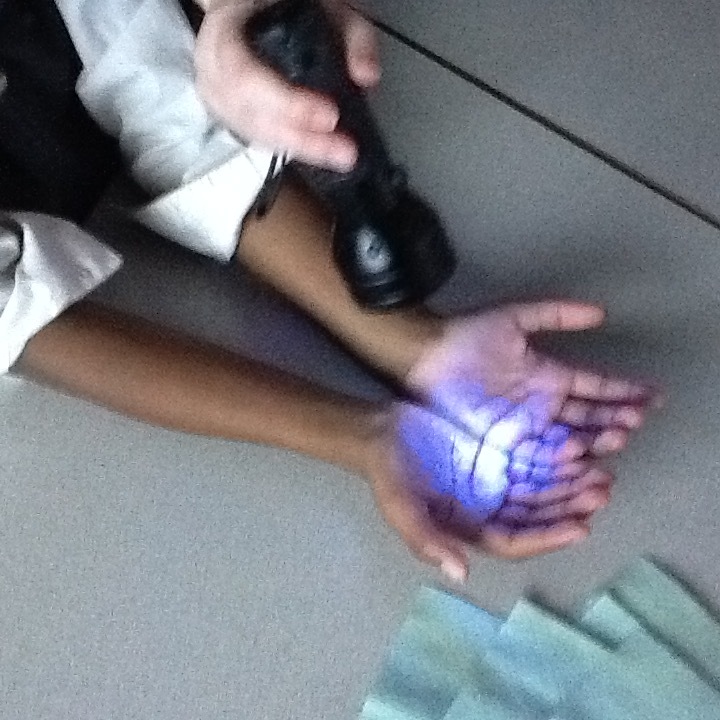 When the nurse shone a UV light over our hands we could see all the invisible germs. 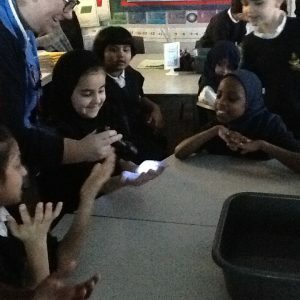 Then she taught us how to wash our hands properly. 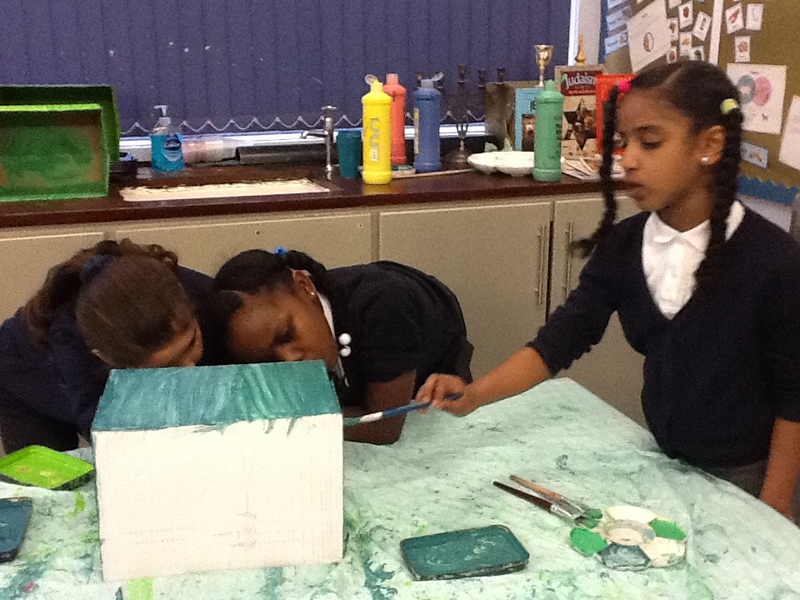 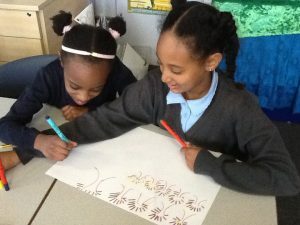 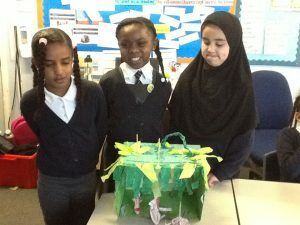 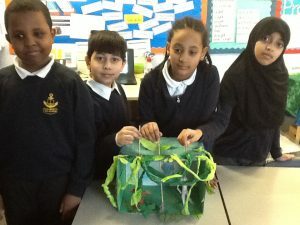 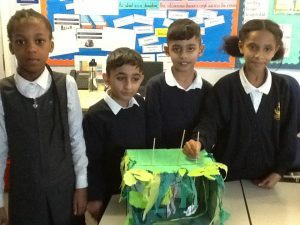 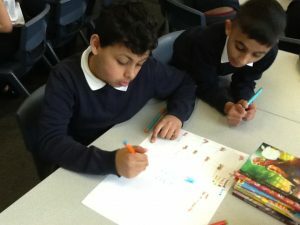 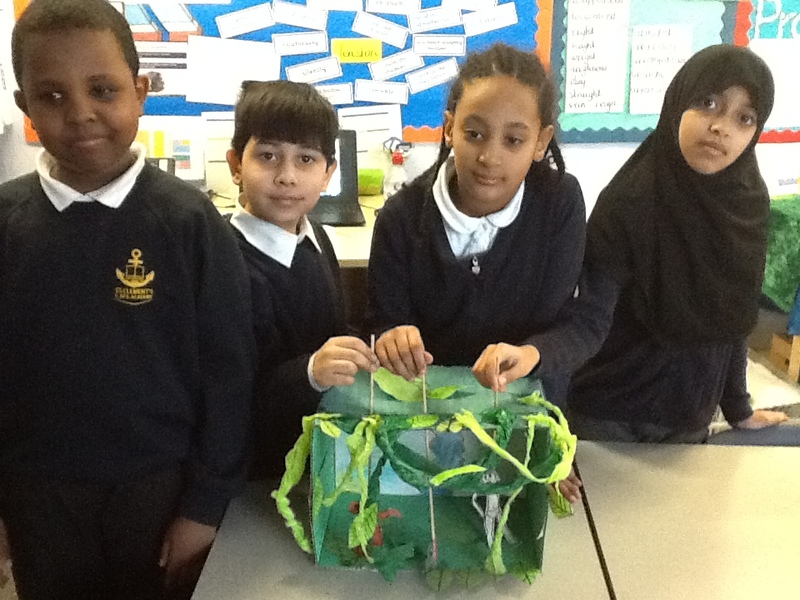 This week, Year 4 have focused on the classic story The Jungle Book as inspiration for creative week. We shared the illustrations in the book and discussed the main characters including, Mowgli, a little boy from the village raised by wolves and Baloo the bear, his faithful friend. We used our sketching skills to draw the characters to make our stick puppets. We looked at different jungle scenes to help us draw the back drop for our theatre. 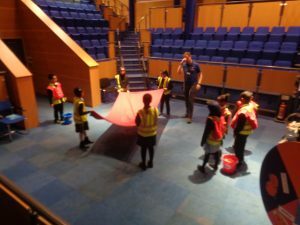 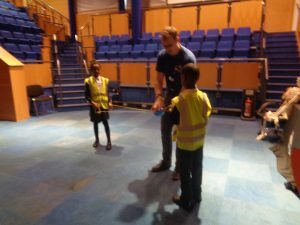 Then we worked in groups of 4 to perform our show. 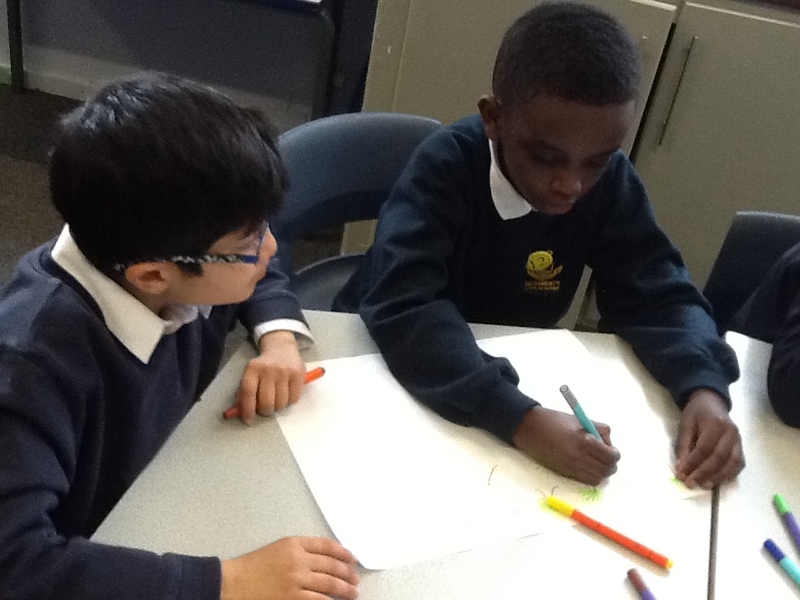 This half term Year 4 are learning about Judaism and this week we focused on the story of Hanukkah. 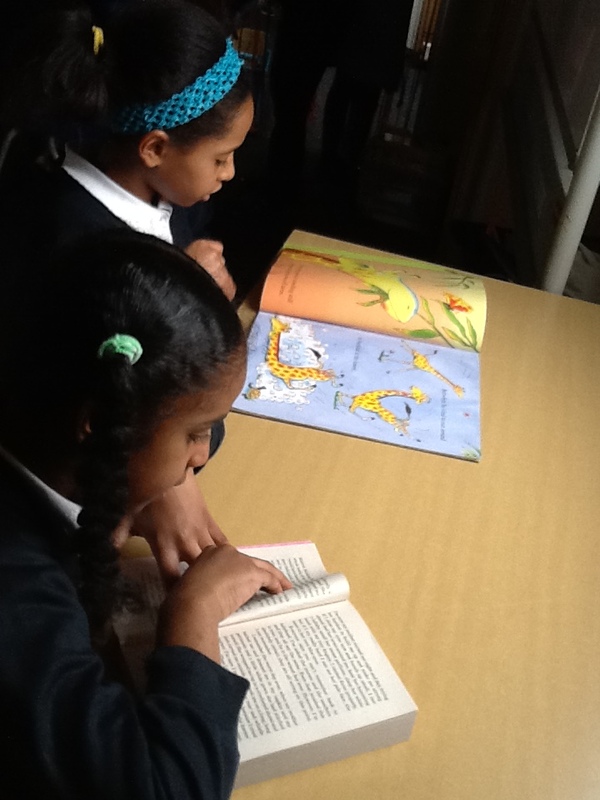 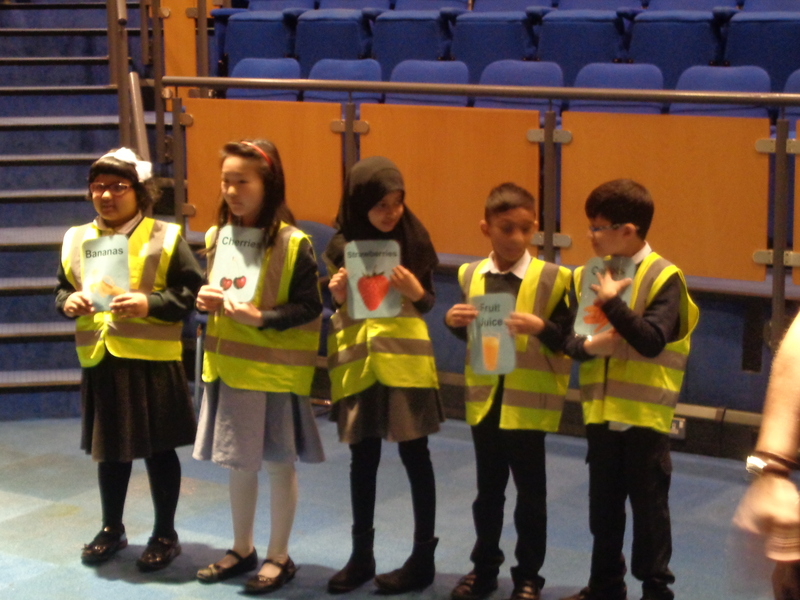 The children listened carefully to the story and summarised the mains events. 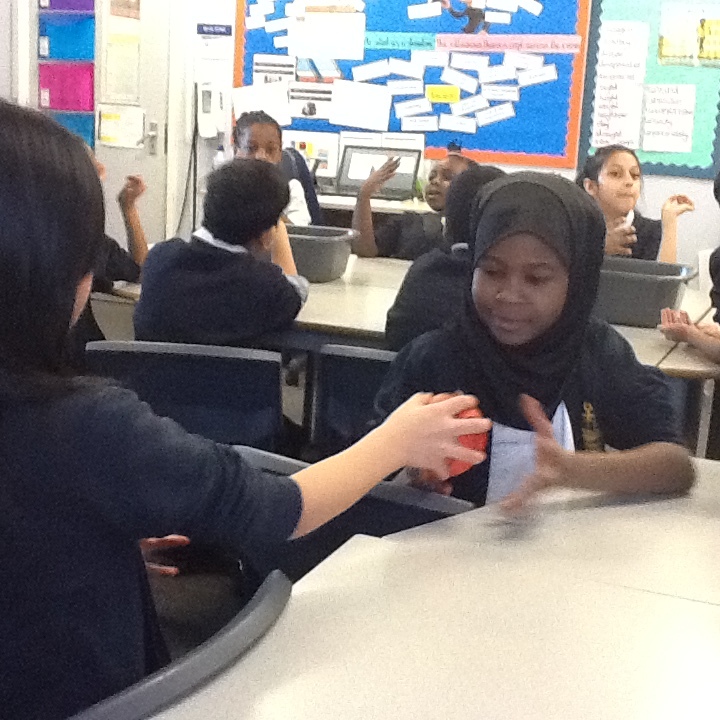 Then the children worked collaboratively in their groups to create a scene from the story using actions and dialogue. 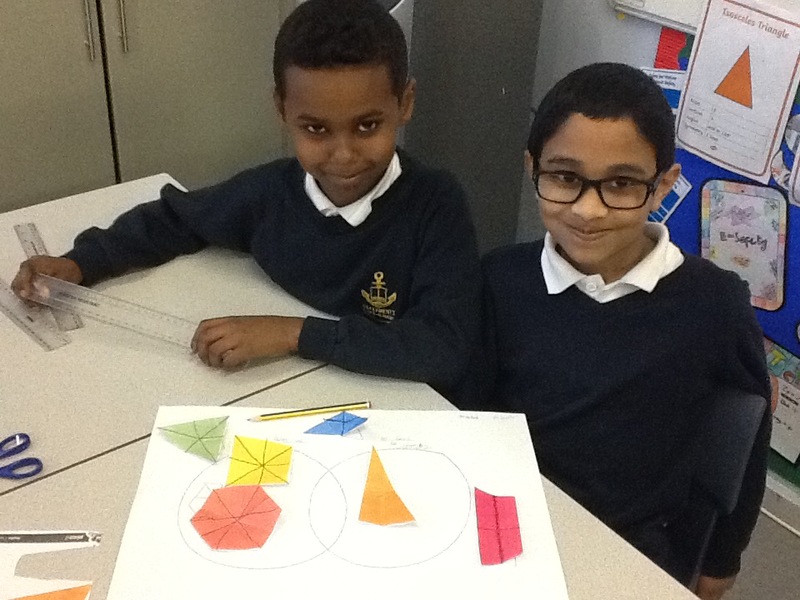 Year 4 have been learning about 2D shape and investigating the lines of symmetry using a range of regular and irregular shapes. 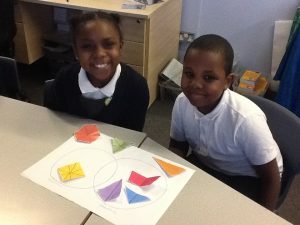 After identifying the lines of symmetry with their partner the children used their new knowledge to think of criteria to sort their shapes accurately. 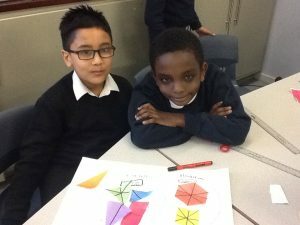 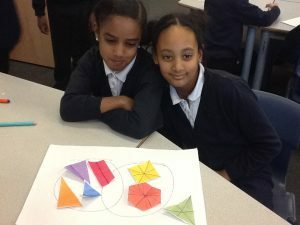 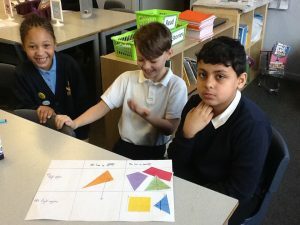 Once they had thought of their criteria they sorted the shapes into a Carroll diagram, or a Venn diagram and explained to their peers why they had placed each shape.